I joined the store eight years ago, initially as a Christmas temp. After a year in customer services, the community champion role came up and I've now spent seven amazing years in the role. I love it because it makes me feel humble and proud of the way I can make such a positive impact on where I live, and I meet such a wide a variety of amazing people all doing their bit for Warrington. 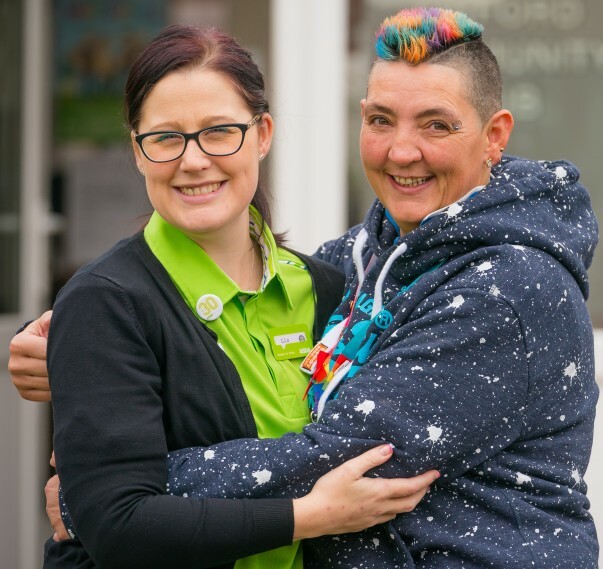 Last year alone, with Asda Foundation grants, Green Token Giving and colleague and customer fundraising, we donated £40,338.17 from our store alone! My week started with some important admin, dealing with applications for Asda Foundation sports grants from two local rugby clubs – Latchford Giants and Bank Quay Bulls – and a grant applications from a local community centre called St Margaret's Community Partnership. My first trip out of store of the week was to The River Reeves Foundation's shop Vintage Viola. This organisation supports youngsters across Warrington who are passionate about the arts, and was set up in memory of a musician in the band Viola Beach who died when their bus crashed in Sweden. 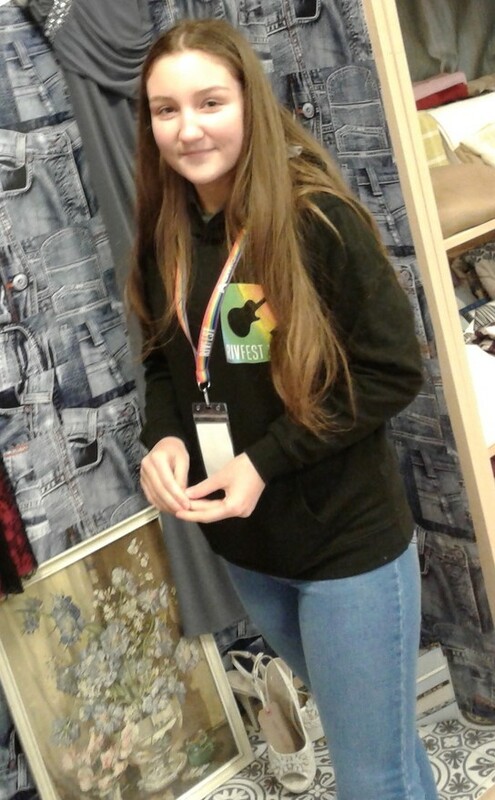 It was the first morning in the shop for volunteer student Milly as part of her Duke of Edinburgh programme. So far I've helped three young people secure volunteering roles in the community. I’m very proud of the way my community role can help inspire young people. If you're interested in getting involved in volunteering, please get in touch by emailing community_warrington@asda.co.uk. Next I headed to St Margaret's with our store manager Kevin Roberts to discuss the possible grant, then I drove to the Birchwood store to join community champion Beky Wakefield's dementia support coffee morning in the store's cafe, which is held on every last Monday in the month. Community colleagues working together is one of the best parts of our role! 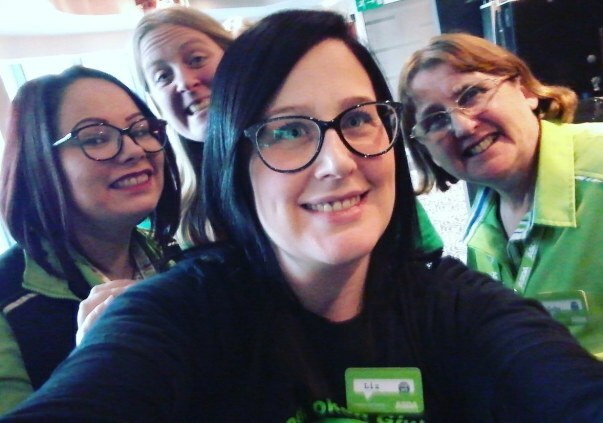 To work with like-minded friends in Asda is brilliant and I'm always teaming up with Beky, Cathy Robinson at Westbrook and Abby Clarke at Northwich to increase our support for various organisations. We're a great team and I'm proud to be part of it. 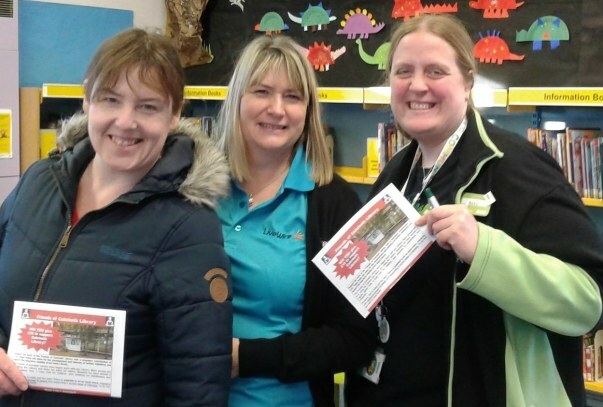 My next stop was to speak to Friends of Culcheth Library with Beky to promote Asda in the community and find out how we can help them in the future, before heading back to the store to finish my admin and prepare for our Autism Parents/Carers support group. This meets every first Thursday of the month in our store's cafe and is run by volunteers. Find out more about Missing Piece Warrington here on Facebook. I joined Beky at the opening night of a new youth club - Youth Oakwood Drop In (YODI). 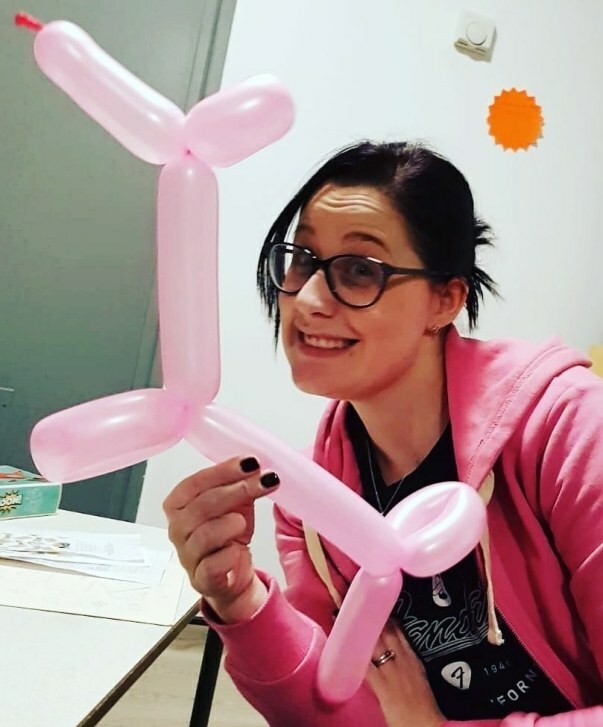 I brought my son Lewis and I ended up doing some balloon modelling – not sure how that happened! This was in my own time and I really enjoyed being involved. Showing off my balloon modelling skills! Today started with personnel duties, helping colleagues, admin, compliance for community, checking to see how customers are voting for their favourite local good cause using our Green Token Giving scheme ... and more donations! I was also out and about at St Andrew's Primary School talking about healthy holidays activity, and then I went to Hapi Hub. 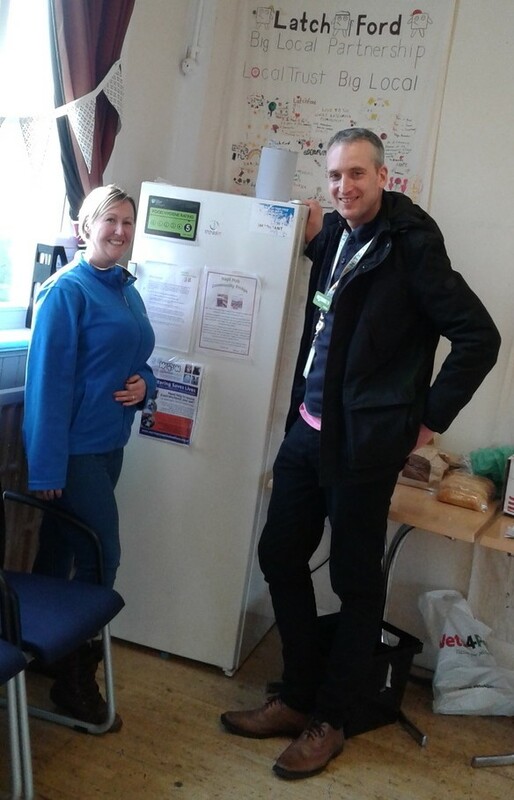 This is an amazing community fridge initiative and cafe started by an inspiring local lady called Ames. 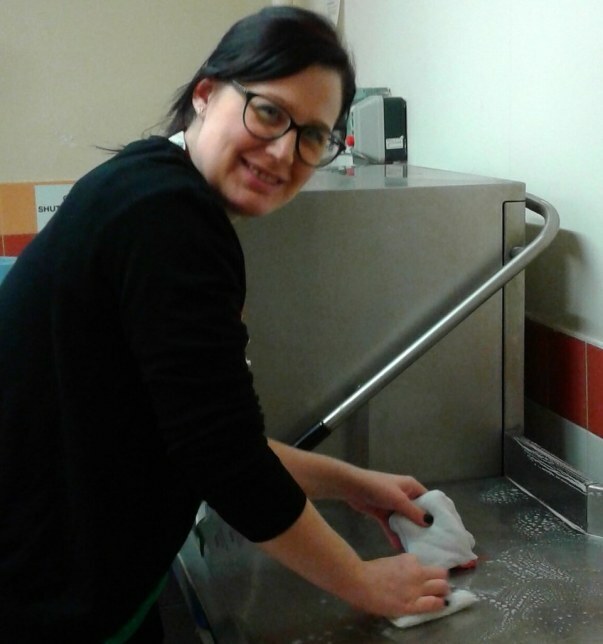 I got stuck in with some of the cleaning before food was prepared – I like to help out in any way I can! It's not always glamorous but I want to help in any way I can! Read more about how I've been able to help Ames here. Today the focus was on Tickled Pink. 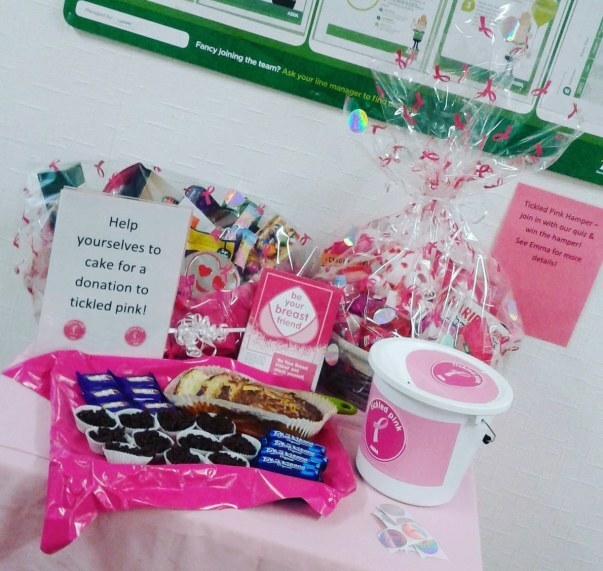 I put together a colleague hamper and raffle to raise money, and awareness for the Be Your Breast Friend campaign. 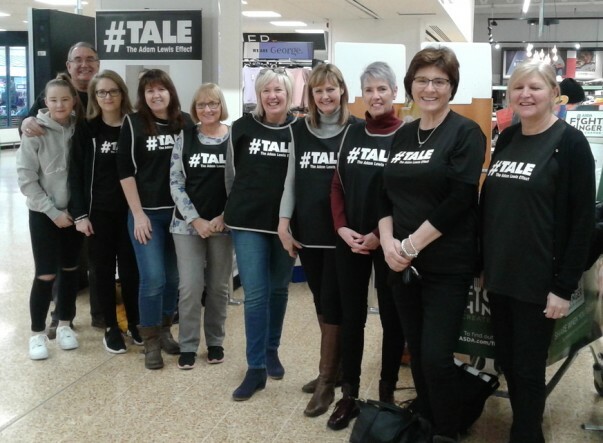 I love supporting regular causes like this, and it's great to see how involved customers and colleagues are. I'm encouraging colleagues to wear pink to raise awareness and funds for the cause, and I know they will all get behind it and raise hundreds of pounds for Breast Cancer Care and Breast Cancer Now. 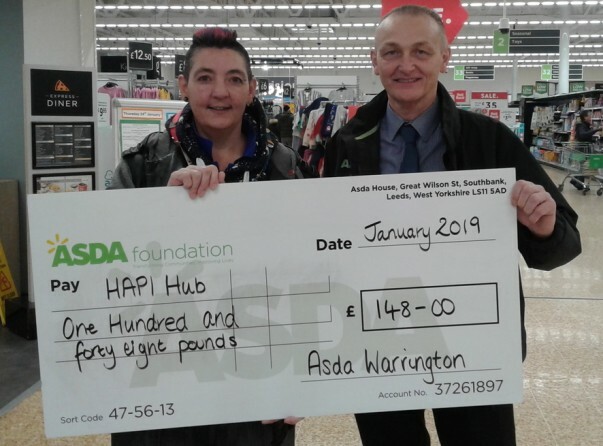 Our home shopping manager Paul presented Ames from Hapi Hub with an Asda Foundation top up grant for £148. This was raised by colleagues helping out at their lunch club and will help Ames continue to expand her project. The next step is cooking lessons for local people, funded by the Asda Foundation. I wrapped donations of chocolates and other small gifts for Early Essentials, a charity that supports new mums. These donations will be given to new mums on Mother's Day – how lovely! Just two volunteers run the group so I've saved them time and supported them in an extra special way. It's been great to see colleagues already getting behind Tickled Pink fundraising – here are Becky and Dave looking pretty in pink! My final task of the week was to submit two grant applications for £750 for new kits for two local sports teams – fingers crossed they get approved! 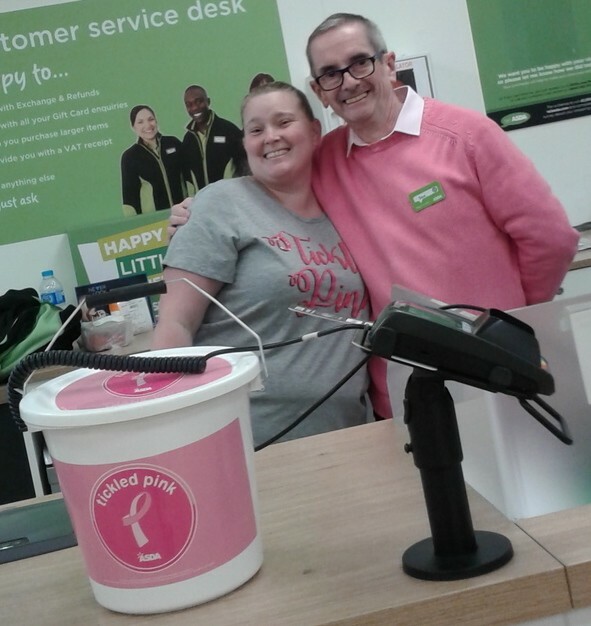 Hopefully this has given you a good idea of a week in the life of an Asda Community Champion. No week, or day, is the same and we meet so many wonderful people, which is why I love it!